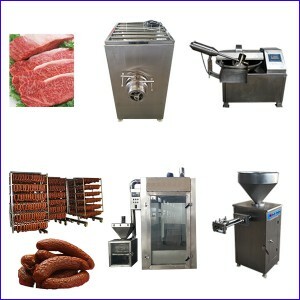 Information of meat process machines that change fresh meat includes sausage making machine, smoker oven, meat cutting equipment, meat slicing equipment, meat chopper, meat mincer and grinder, meat vacuum Tumbler, Sausage stuffer etc. are upgraded in our website www.frenc-fries-machine.com now. Welcome to visit and looking forward to your comments.